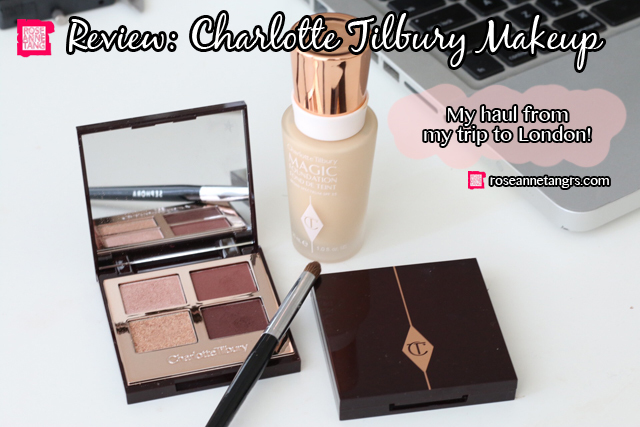 I managed to finally get my hands on Charlotte Tilbury during my trip to London a few weeks ago and since then I have been trying them out. I’ve finally gotten my thoughts together to write this and my honest opinions about their products. To me, Charlotte Tilbury is a relatively new brand, it’s for sure a dominant queen in social media and if you don’t know Charlotte Tilbury, she is also a global celebrity make-up artist. To be honest, I’ve made many trips to London but this is the first time I’m buying something because it’s actually quite expensive. This entire haul is about £105.50, equating to just over $200SGD for a foundation, and two small eye palettes. Although I was so excited to see their boutique and make a purchase this trip, as you could see in my make-up shopping video, the performance of the products I feel, fell quite short of their price tags. 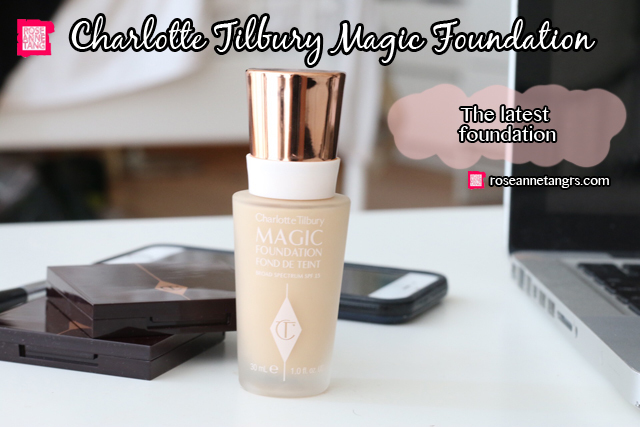 First let’s take a look at the Charlotte Tilbury Magic Foundation – it’s the latest launch of the range so I wanted to try it out. Plus, the sales assistant told me it’s the highest coverage product of the lot and I had heard about it online already. This to me was the most disappointing product. Don’t get me wrong, these photos of the packaging are gorgeous and they did an amazing job but man the magic foundation was one of the worst I’ve tried in a long time. I don’t want to shame the brand in any way but I need to tell you this before you go out and splurge $60 on it. When you apply it, it streaks on the face and collects into the pores. I always end up having to use another foundation as a cover up. It’s not my brushes either – I’ve tried five new ones and they’ve all ended up with the same result. It’s a liquid to powder product gone wrong. Here’s what I mean. 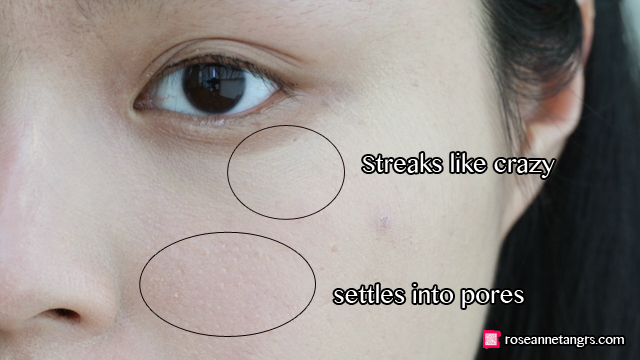 As you can see my pores don’t disappear, they look much bigger because the foundation settles into them. Also, streaking is very frustrating with this foundation too, the more you try and blend, the more it becomes even more streaky. The coverage is mediocre and my complexion looks even more dry and dull than before. I really wouldn’t recommend. I’ve given it many chances but nope. I even vented my frustration on snapchat while doing my make-up. After reading reviews on Makeup Alley the other day, I found that a lot of girls feel the same way. You need like 14 year old model skin to pull this foundation off. 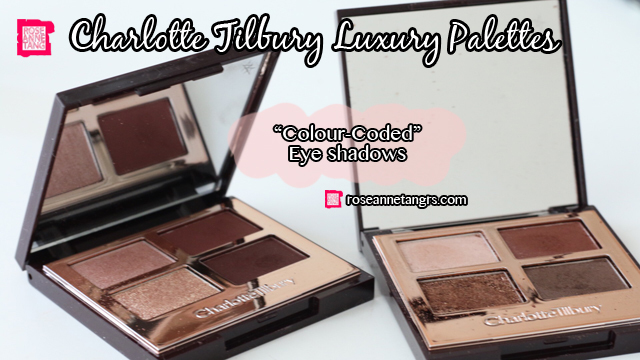 Next up we have the Charlotte Tilbury Luxury Palettes in “Colour Coded” Eyeshadows. I bought both of these for £38 or SGD$76 each. I know right, thats the price for each palette, which is even more expensive than the foundation. The palettes are about the size of your palm and seat 4 eyeshadows that are meant to compliment each other – prime, enhance, pop and smoke. 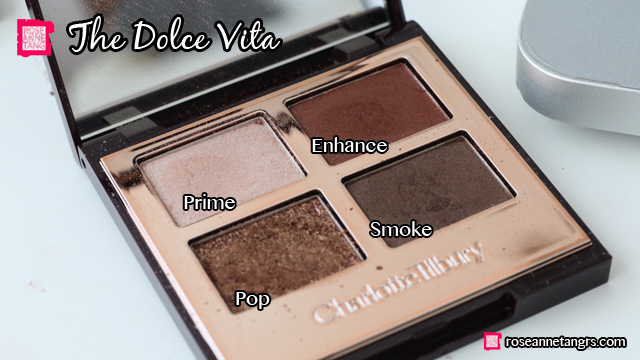 The first palette I got was The Dolce Vita – something I was looking forward to getting straight out. The most gorgeous color is the Pop shade which is a copper metallic glitter. The rest are alright and I’d probably use that prime shade to highlight rather than to apply all over my lids. But in make-up there should be no rules. Yet again, I failed to get the pigmentation I’ve seen in the ads. It’s not that they’re totally bad, it’s just that you’d get twice the product for the same price from like Tarte or Urban Decay or even Stila. May I remind you that this little guy cost me nearly $80 SGD. That’s like nearing Chanel and Chanel eyeshadows are a whole lot better. 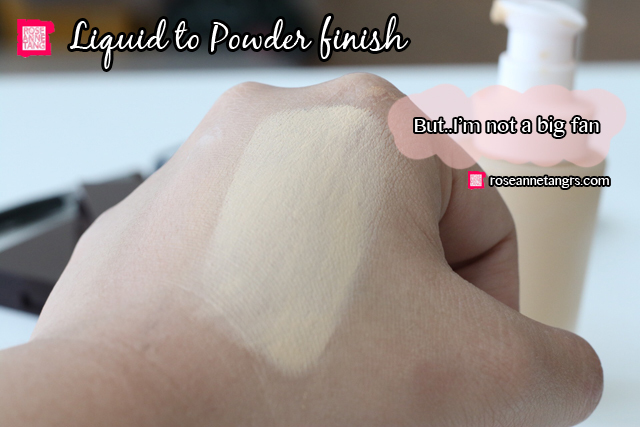 It’s just that after trying a lot of stuff, you’d expect the ideal shadow to be a bit creamier, able to blend a bit better without any trace of being chalky. Except for the POP shade, the defining shades are a little chalky as you can see. I swatched something I really like as opposed to the shadows in the CT palettes. 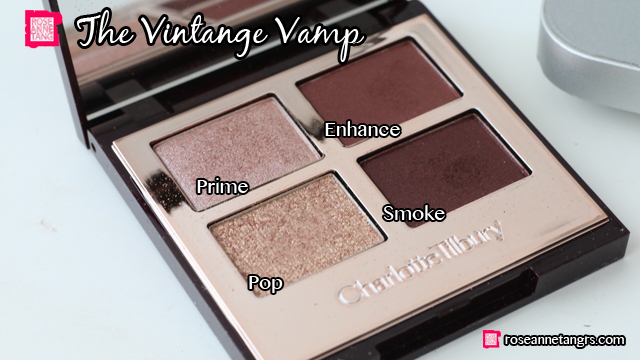 Another color I got was The Vintage Vamp which happens to be a bit more reddish in color. I really wanted to like Charlotte Tilbury and I was ready to dish out a whole lot more for them but when even brands like Loreal and Maybelline or Revlon perform better than them, it’s hard to give them a yes. One thing they really got right was the brand and the packaging. It’s absolutely gorgeous and enough to make any girl swoon, me included. But I wish they lived up to their packaging really. I’m not usually one to say this either but it costs a lot and I don’t want you to make an expensive purchase for no reason. Perhaps I’m missing out on the other products or perhaps I’ve tried too many to start comparing. Perhaps I even got a bad batch… But here are my honest opinions about them anyway when I’ve heard rave reviews online. Was looking for a blog review on the magic foundation since it’s liquid to powder & I’m going to a humid city for an internship … happy I did. 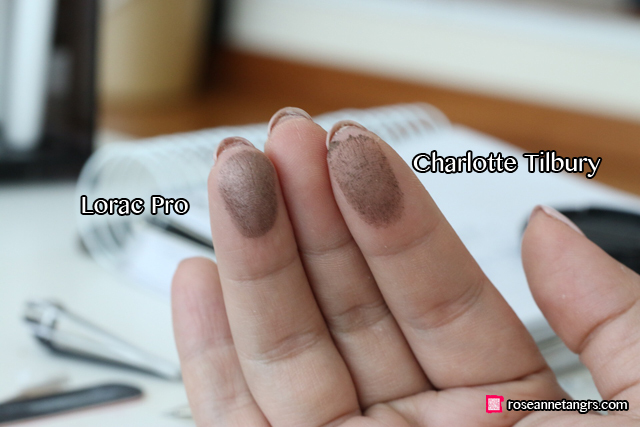 Haha, I really love the style of Charlotte Tilbury, so I bought an eyeshadow palette and eyeshadow sticks and they were all…meh. $250 down the drain. I only like the bronzing/highlighting palette, which I got as a gift. Thanks fo’ saving my moolah!! !